Two years after the release of their debut album A Dream Outside, London quartet Gengahr today announce their new album Where Wildness Grows will be released on March 9th 2018 on Transgressive. Coinciding with this announcement, the band stream their new single Mallory. Listen below. Over the past two years we have given everything in order to create an album that would meet all our ambitions, fulfilling our vision of what Gengahr is now. It’s been gruelling at times, but like a caterpillar entering metamorphosis you know the moment of darkness will be outshone by the transformation. 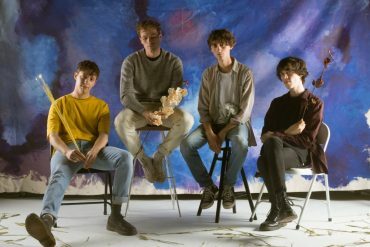 The LP was recorded in London during summer 2017 with acclaimed producer Neil Comber (Glass Animals, M.I.A, Songhoy Blues) in a process which saw Gengahr reject multiple recordings and eventually return to the drawing board, re-group and head back to the studio with a new sense of clarity. 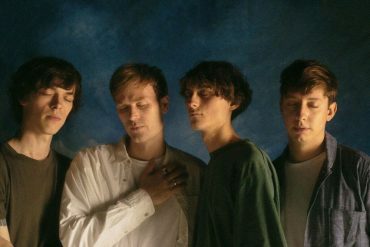 Following an explosive intimate and sold-out headline show at London’s Omeara on Friday, Gengahr will also be joining Jungle on their European tour later this year, with full headline tour dates to be announced on Wednesday 18 October.